The requirement for admissions to Master’s studies is a Bachelor’s degree, higher education obtained on the basis of professional higher education curriculum or other relevant qualification that gives access to Master’s studies. Educational certificates issued abroad are recognised by Estonian Academy of Arts on the basis of the assessments and opinions of the Estonian ENIC/NARIC Centre. The study period in MA programme is 2 years /120 ECTS. Exact times for interviews will be sent after EAA has received all required documents. Admissions for all students will be announced not later than 24.05.2019. Declining or accepting studies must be stated not later than 31.05.2019. Signing and returning of contracts 07.06.2019. NB! Students graduating in Spring 2019 who are not able to submit their educational certificates by the requested deadline are asked to contact the International Student Adviser (admissions@artun.ee). • copy of your Bachelor’s degree certificate or equivalent and its translation into Estonian, English or Russian (both, copies and translations have to be attested by notary). • copy of your Transcript of records (and translation into Estonian, English or Russian; both copy and translation must be attested by notary). 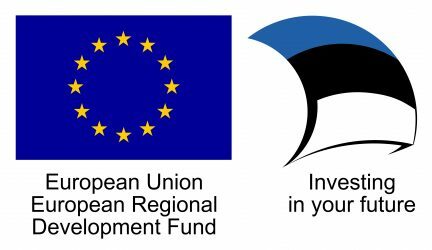 • Application documents will be processed only after the admission fee – 50 EUR – is received by the Estonian Academy of Arts. Please find further information here. • Portfolio – The portfolio as PDF, some previously animated films or clips can be added as separate files or as an online working link (password included if necessary). The applicant should choose up to 5 best films/ clips and mention the choice in the PDF. • Motivational letter – Reflect on the questions, “What is the city? Is there such thing as the city?” Discuss with respect to architecture and society. Please explain how you would benefit from the programme, and describe the relevance of your education and experience to the programme. • Portfolio – present a sample of relevant work, which can be either writing (essays, papers, articles), design (architecture, urban, art), or a combination. Portfolios must be single PDF document (A4 or A3, max 8 MB), up to 20 pages. • Portfolio – The portfolio in the PDF format should be included in the application documentation. The portfolio should include at least five design projects which, depending the nature of the project, feature drawings, renderings, diagrams, photographs and explanatory text. • Essay of possible MA thesis topics. The essay should not exceed 2000 characters and should be included in PDF format in the application documentation. Visual material could be added if necessary. • Short video – The purpose of the video is to allow the candidates to present their mission as a designer as well as to define the addressee of their master project. The message of the clip is more important than the production – material filmed and edited with mobile phone is also suited. Please upload the video in YouTube, Vimeo or other video-sharing site and provide a link to the clip in your essay on 2nd of May the latest. Select a discipline: ceramics, glass art and design, jewellery and blacksmithing, textile design, leather art and design or fashion design. What are your expectations for our Design & Crafts program? Please map your focus of interests and describe your possible subjects for MA research. Where would you like to be professionally in 5 years? Where do you see yourself in the bigger picture of design & crafts? What was your impulse to choose Estonian Academy of Arts? How did you get information about us? Personal and contact information about the student candidate. Overview of candidate’s education. Candidate’s higher educational facility, field of study, degree earned and the theme of the graduation work/project should be highlighted. Work experience, including name of the employer, the job title and description of the candidate’s responsibilities at any listed job. Other general activities, hobbies, interests. a) How do you see the present and the future of interaction design, and how do you see your role in this. b) What do you hope to learn during the Master’s Program? c) What would you like to do after the completion of your studies? • Display of your previous experience – should contain a few samples of work, showing your past and present experience, and professional capabilities. Design projects, web projects, articles, abstracts of scientific work, short descriptions of business and development projects, etc. can be included. Basically, we want to see what you’ve been doing in your previous life, how you think and solve problems. — Each sample should be shortly described. In case of team projects, your contribution should be clearly stated. — The document should be presented in PDF-format or as a web portfolio. — In case of PDF, the file size must not exceed 20 MB. Feel free to use any file download service (WeTransfer, Dropbox, etc). — If you add web links (pointing to web projects, articles, etc.) please make sure the links actually work. • NB! Faculty offers one full scholarships to cover the tuition fee during the 2 years MA programme. Scholarships are given by the admission committee, according the applicants portfolio, motivation letter and MA thesis proposal.